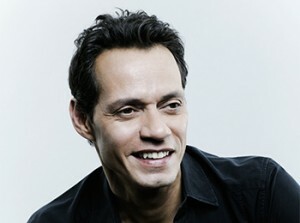 Marc Anthony has sold over 12 million albums worldwide, making him one of the most influential artists of his time and a true ambassador of Latin music and culture. He has been awarded countless gold and platinum certifications from the Recording Industry Association of America, including numerous GRAMMY® and Latin GRAMMY® accolades and “Premio lo Nuestro” Awards. Mr. Anthony has also established a highly credible acting résumé and may be seen in a number of film and television productions. A prolific artist, he is often touring, and his recent US and Latin American tour, GIGANT3S, recently topped Billboard’s Hot Tours Charts, while his subsequent world tour, “Vivir Mi Vida,” was extended by popular demand. He was recognized with a Lifetime Achievement Award by the Congressional Hispanic Caucus Institute in Washington, DC, in September 2009. Mr. Anthony is also a Dolphins minority owner. In January 2012, he launched his nonprofit organization Foundation Maestro Cares with business partner Henry Cárdenas, aiming to improve the housing, academic and health challenges that orphaned children face each day in developing Latin American countries. The first orphanage opened in La Romana, Dominican Republic on April 2, 2014. 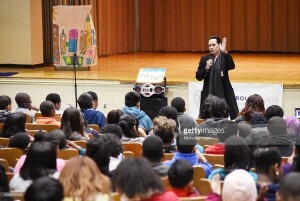 Mr. Anthony has adopted Ebbets Field Middle School in Brooklyn, NY. He believes strongly in the power of the arts to change lives.